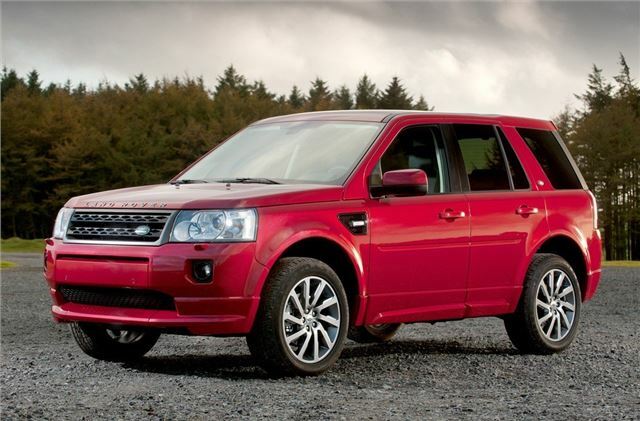 Land Rover has launched a new version of its best selling model, the Freelander 2. Called the Freelander 2 SD4 Sport Limited Edition it's powered by Land Rover's new 190bhp 2.2-litre diesel engine (available with an automatic gearbox) and gets a sporty look with a body styling pack and 19-inch Shadow Chrome alloy wheels. Elsewhere it has a black finish to the grille and side vents, a rear spoiler, body-coloured door handles and privacy glass. Front and rear parking sensors are standard and it comes in a choice of three exterior colours - either Fuji White, Santorini Black or the all-new Firenze Red. The Freelander 2 SD4 Sport is powered by the new state-of-the-art 190bhp diesel engine. This Limited Edition (available with automatic transmission only) accelerates from rest to 60mph in 8.7 seconds with an increased top speed of 118mph. The use of an Intelligent Power Management System (IPMS) provides ‘smart charging' of the battery by recovering kinetic energy when the vehicle is slowing wherever possible, rather than consuming fuel by charging when the vehicle is accelerating, and in addition to this, the Freelander 2 Sport SD4 Limited Edition is compatible with 10 per cent biodiesel rather than five percent. With these improved efficiencies, CO2 emissions are reduced to 185g/km with a corresponding fuel economy benefit.